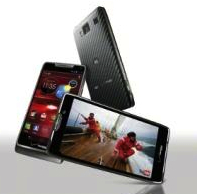 The Federal Communications Commission passed an NFC-enabled Motorola device thought to be the Droid RAZR HD, according to Droid Life. The FCC filing shows that the device, model number XT926, contains an embedded NFC antenna, as well as GSM and WCDMA radios. The filing also shows that the handset was tested for Verizon’s 3G and LTE networks.